On Saturday, August 25th, I participated in Pandora Collective’s Summer Dream Literary Arts Festival. 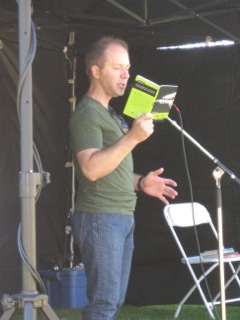 I was a featured author in the children’s author tent, where I gave a 30-minute talk about what inspires me as a writer. Later that day, I gave a one-hour talk on publishing – focusing on the difference between getting paid to publish and paying someone else to publish you.​ There’s lots of misinformation out there about publishing, and if you are thinking about self-publishing you may want to take a workshop first.